The remark came in response to a question submitted by Tom Angell of the pro-legalization group Marijuana Majority. Angell asked Tyson if he agreed with astrophysicist Carl Sagan that marijuana should be legalized. “That is extremely rational, which I expect from you, and you’re absolutely right,” replied host Chuck Nice. Nice then spent several minutes ribbing Tyson over his archaic choice of marijuana slang. “The last time I was like, in a cloud of it? That’s how people spoke,” Tyson said. 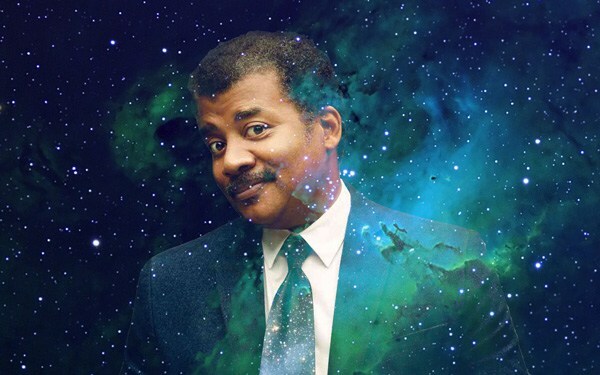 Neil deGrasse Tyson has in many ways followed the late Carl Sagan’s footsteps in becoming a well-known evangelist for space science and the scientific method more broadly. Sagan, most famous for the television series “Cosmos” (which Tyson later rebooted), was a lifelong marijuana user who wrote extensively — albeit privately — about what he saw as the benefits of the drug. J’s and altered states aside, Tyson’s argument against prohibition is on fairly sound scientific footing: Public health experts generally agree that relative to alcohol, marijuana is less-habit forming, less toxic to the human body, less of an impairment to driving and much less linked to violent behavior. President Richard Nixon placed the drug in the most restrictive category of federal prohibition in 1972, overruling the recommendation of his own marijuana task force, which argued that the drug wasn’t particularly dangerous and shouldn’t be federally prohibited. An August Quinnipiac poll found that more than 61 percent of Americans now say marijuana should be legal, 94 percent support the medical use of marijuana, and fully three-quarters oppose the federal government enforcing marijuana laws in states that have legalized it.